With the development of science and technology, plastic injection moulds have become an essential tooling of producing plastic products in China plastic products manufacturing industry. In our real life, plastic products have almost captured all fields. Whether it is the parts of aircraft and cars or some of the commonly used toothbrushes and cups in our daily lives. In fact, those plastic products that are commonly used around us are not produced by the manufacturer one by one according to the drawings, but are produced in batches through plastic injection moulds. Before plastic injection moulding manufacturer produce plastic products, the injection mould of this product will be made in advance. After the injection mould is completed, the manufacturer can mass-produce through this mould. Is the plastic injection mould manufacturing process complicated? plastic injection moulds are applied to various plastic injection moulding products, and many plastic moulded products must be manufactured accurately, such as plastic bottle mouths and caps. The production of them needs to be very delicate, because if there is a little inconsistency, it can't be combined. Therefore, when making plastic injection moulds, it is necessary to pay attention to such problems. The injection moulds must be made very precise which is possible to make high-quality plastic injection moulding products. Of course, for those plastic products that are relatively large and inexpensive, there is no high process requirement. For example, the mould of plastic basin doesn't require too strict requirements for the manufacturing process. It can ensure that the designed product has a good forming process, and it won't modify the finalized design due to the difficulty in processing the parts. Mould makers can make design preparations in advance to avoid affecting schedules due to the thoughtless. To produce high-quality moulds, it can ultimately reduce injection moulding cost and shorten production cycle only by the close cooperation between the injection moulding supplies and demand sides. 2. Don't just pay attention to prices. Should have overall consideration from injection mould quality, production cycle, and injection moulding company service. There are many kinds of moulds, which can be roughly divided into ten categories. According to different requirements of injection moulded parts materials, physical and chemical properties, mechanical strength, dimensional accuracy, surface finish, service life, economy, etc., choose different types of mould forming. High-precision injection mould requires the use of high-precision CNC machining, the injection mould material and the forming process have strict requirements. CAD/CAE/CAM injection mould technology is also needed for injection mould design and analysis. Some injection moulded parts have special requirements for moulding. The injection mould also needs advanced processes such as hot runners, gas assisted moulding, and nitrogen cylinders etc,. Plastic injeciton moulding manufacturers should have CNC, EDM, WEDM and CNC profile milling equipment, high-precision grinding machines, high-precision three-coordinate measuring instrument, computer design and related software and so on. Generally, large-scale stamping dies (such as automotive cover moulds) should consider whether the machine has a blanking mechanism, and even lubricants, multi-position advanced and so on. In addition to punching tonnage, it is also necessary to consider the punching times, feeders, machine tools and mould protection devices. The manufacturing methods and processes of the above injection moulds are not possessed and mastered by every injection moulding company. When selecting a China plastic injection moulding manufacturer, it is necessary to understand its processing capabilities. 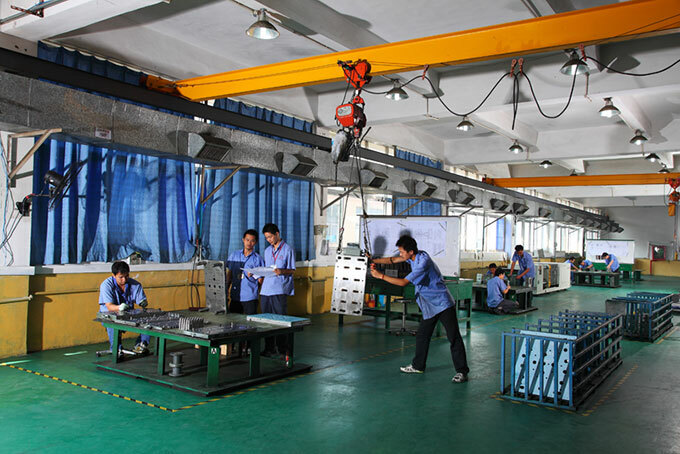 Not only the hardware equipment, but also the management level, processing experience, and technical strength. For the same set of injection mould, quotes from different plastic injection moulding manufacturers sometimes have a big gap. You should not pay the fee that more than the mould price, it also should not be less than the mould cost. 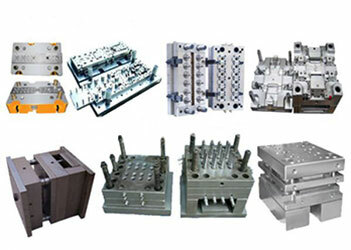 Plastic injection mould manufacturers want to get a reasonable profit in the business. Customizing a much cheaper mould would be the beginning of trouble. Customers should proceed from their own needs and have a full consideration. 3. Avoid multi-head collaboration, try to make plastic injection mould making and plastic injection moulded parts processing integration. The qualified injection moulds(test specimens qualified) is not the determinant of producing batches of qualified products. This is mainly related to the selection of machine tools, forming process (forming temperature, forming time, etc.) and the technical quality of operators. Good injection mould is better to also have a good forming processing, it is best to cooperate with integration, try to avoid multi-head collaboration.